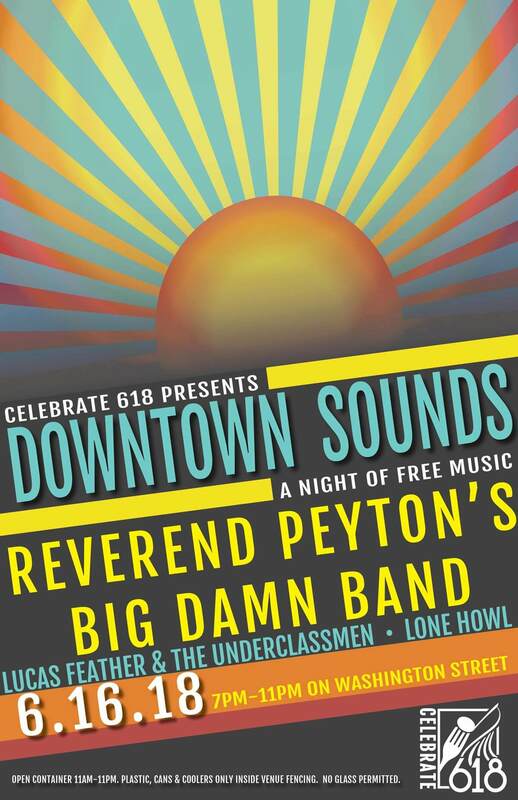 Saturday evening concludes with Downtown Sounds, a free live concert at the Washington Street Concert Venue, featuring Lucas Feather and the Underclassmen, Lone Howl, and The Reverend Peyton’s Big Damn Band from 7pm-11pm. Concert attendees will be allowed to bring their own alcohol. Plastic cups, cans, and coolers are allowed in the concert venue; no glass is permitted.